PCs are brilliant because you can use them for work AND play! 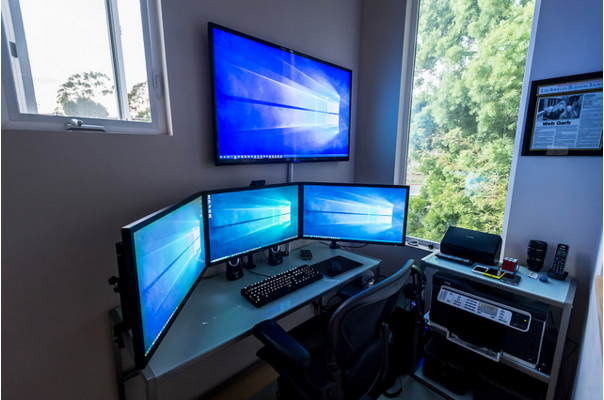 During the day, you might use your computer to run all kinds of software apps. And in the evening, you could unwind by playing some fun games! There is a sharp rise of people that use PCs for work and gaming purposes. Part of the appeal is no doubt down to the cost savings. After all: you don’t have to spend money buying one or more games consoles. Plus, we all know how simple it is to upgrade components in a PC. There is usually nothing you can change in a games console as such devices are proprietary. You might be happy with the performance that your PC offers you. But, what if it doesn’t look visually appealing? Perhaps the accessories you use make your computer look boring? If you want to jazz up your desk, you’ve come to the right place! One of the things that all PC users hate are wires. If you’re nodding in agreement with that statement, it’s likely you’ve got that problem. If you do, one way to cut down on the clutter is to invest in some wireless computer speakers. It’s hard to believe that speakers are now wireless these days. But, it’s true. After all: you can buy wireless headphones! Contrary to popular belief, wireless speakers offer excellent sound quality. So, if you’re an audiophile, you need not worry about the music and sound effects that your games play! Another way to remove the wires from your desk is by investing in a wireless keyboard and mouse. There are hundreds of different models on the market these days. That’s good news for you, as it means you can pick a stylish setup for your desk. Don’t just stick with convention. Defy it and make your work and game station a more fun place to be! I would recommend all kinds of cool new monitors for your gaming rig. But, the purpose of today’s blog post is to help you save money while making your setup look great! Some gamers don’t even think about mounting their displays on the wall! Doing so will offer all kinds of benefits. For a start, you will get to take back some desk space! And you can get tilt and swivel mounting kits to give you the maximum flexibility. A VESA display mounting kit doesn’t mean it has to stay in a fixed position. Last, but not least, you can add some color to your desk by fitting some LED lights. You can get strip lights that you can position anywhere you wish. For instance, you might want to create a brilliant backlit display for your monitor. Or you could fit some inside your PC case if your system is on or underneath your desk.